The rise of the self-service analytics era has called for a more flexible, iterative approach to data preparation. But as you and your team look to invest in modern data preparation solutions, understanding how to best evaluate these technologies can be difficult. 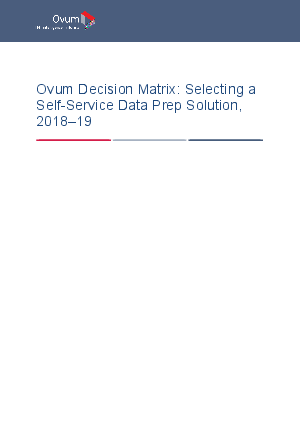 In Ovum’s first Decision Matrix report on self-service data preparation, analyst Paige Bartley takes a comprehensive look at the eight major data preparation vendors by assessing each company’s technology and execution.